Openings in September 2018: two openings this autumn. “Welcome to my studio! My specialty is teaching “older” beginners (aged 5-10) and transfer students and taking them through a strong intermediate playing level. Although grounded in the Suzuki philosophy and repertoire, my teaching is also marked by the inclusion of supplementary material, giving the students a wider window on today’s musical world than most classical teachers provide. All the students share a repertoire of traditional fiddle tunes of several cultures, and thanks to my work with Seattle Historical Arts for Kids, the students are also exposed to the music of the Middle Ages and Renaissance. Most students continue through a Book 5 level in my studio before seeking an advanced teacher who matches the students’ own evolving musical interests. “Group class is available two to three times per month (for each student to attend at least once monthly). Our three or more annual performance projects include an autumn Fiddle Party Potluck, December holiday concert at a local retirement home, and spring solo recital. There is very little turnover in my studio, so students enjoy long-term supportive peer relationships. My students have enjoyed leadership roles in the orchestras at Washington, Hamilton, and Eckstein Middle Schools. “My teacher training ranges from Suzuki Violin 1A and B (with Carrie Reuning) and Violin 3 (with Ronda Cole) to the Music Together curriculum. In addition to the ongoing learning I do as a nearly-full-time music teacher, I also rely on what I learned from working with young people and families during my years as a preschool teacher and in my work in historical performance with children and teens as the founding director of Seattle Historical Arts for Kids. I was awarded the Laurette Goldberg Award by Early Music America in 2015 for early music educational work. 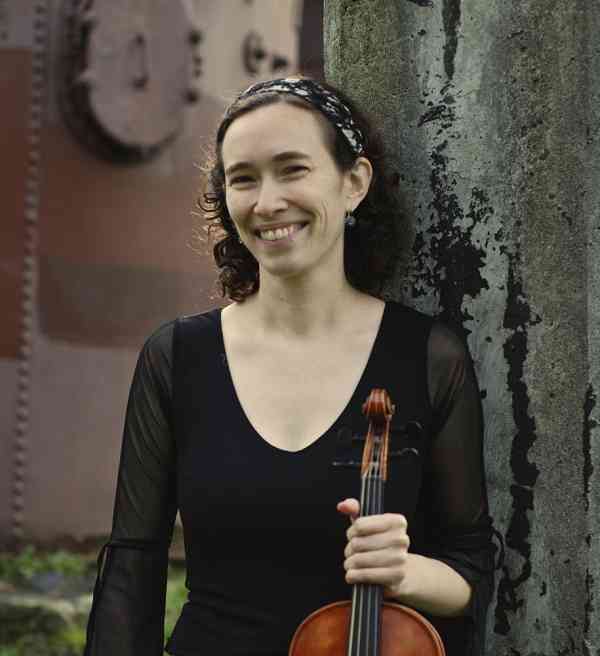 “Although my career focus is on my teaching, I draw inspiration from professional performing work a few times per year, in Seattle and elsewhere, where I focus on the music of the Middle Ages and Renaissance—with an occasional exploration of traditional fiddle styles as well. My ensemble was the winner of Early Music America’s national Medieval and Renaissance Music competition in New York in 2009.